There is generally one main factor at play when it comes to cruise prices during the holiday season: the strength of the cruise industry. If it's been a gangbuster year, don't expect the cruise lines to wave you aboard for a pittance. Conversely, if sales have been lagging over the past ten months, they're more likely to roll out holiday deals in a bid to shore up fourth quarter revenues. Value offers will vary by line, so consumers will benefit from some comparison shopping. Holland America, a premium-level cruise line, is selling 7-day Christmas cruises to the Caribbean, roundtrip from Fort Lauderdale on Dec. 21, aboard its Westerdam for $1,099 per person, double occupancy, in a balcony cabin. It's a great deal considering that Christmas 2014 cruises on the same ship, cabin and itinerary are priced at $1,699 per person if booked now (obviously, they're feeling pretty optimistic about next year). Holland America has children's programs onboard all of its ships, but the majority of passengers on this holiday cruise will likely be middle-age and older couples. We don't often see fare sales on Disney Cruise Line, since demand for the iconic family product tends to be the envy of its competitors. But we found an amazing offer on the Disney Fantasy, the line's newest ship. A Dec. 7 departure from Port Canaveral, sailing to the Caribbean on a seven-day voyage, can be booked for $3,215 for a family of four in an inside cabin. The stateroom has one double bed and a pullout couch. This same cabin, ship and itinerary costs $10,062 if the family wanted to begin their cruise on Dec. 21. So by avoiding Christmas week, the group saves nearly $7,000 – that's a lot of pixie dust. Note that there are some restrictions to the early December deal: the fare must be paid in full at time of booking, and it's nonrefundable. Luxury river cruise company Ama Waterways has reduced rates on several seven-day Thanksgiving, Christmas and New Year's sailings in Europe on the Rhine, Main and Danube rivers. Fares are under $1,500 per person on select cruises. Virtually identical voyages on Ama next spring start at roughly $2,100 per person. Among the holiday deals: A Christmas Time Cruise between Nuremberg and Budapest (you can start in either city) with visits to traditional Christmas markets in Vienna, Passau and Linz. Fares are from $1,440 and five departure dates are offered. Families can get a 50 percent break on fares for children under 18 on Lindblad Expeditions-National Geographic's 62-passenger Sea Bird. This upmarket expedition ship will sail an eight-day Christmas cruise in the Sea of Cortez, located between Baja California and Mexico, departing Dec. 21. The ship leaves from La Paz, near Los Cabos. Fares are $4,990 per person, double, and the half-off deal is valid for bookings made by Oct. 31. The youngster must travel with a full-fare-paying adult. 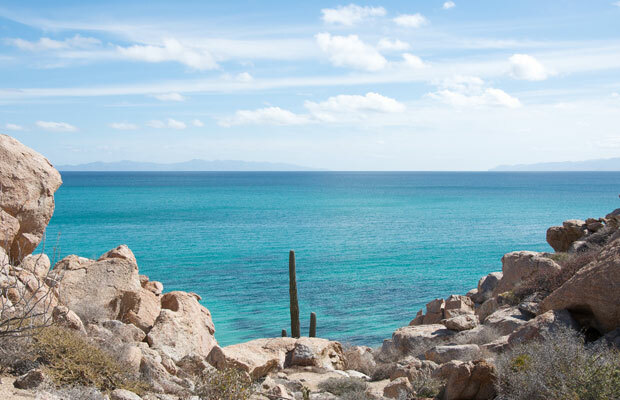 The company also has a value offer for adult customers; free roundtrip air fare between Los Angeles and Los Cabos on the Dec. 14 Sea of Cortez voyage on the same ship and itinerary. That booking deadline also is Oct. 31. For the adventurous consumer who doesn't mind chilly weather, Norwegian expedition line Hurtigruten rolled out a series of Norway coastal cruises sailing between Bergen and Kirkens through December. The seven-night trips cost $1,323 per person, based on double occupancy, for an outside cabin (it has a window). The same itinerary and cabin category starts at $2,057 per person during the summer months. A wide range of departure dates is offered in December, and passengers can choose a northbound or southbound route. Onboard, expect to indulge in gingerbread houses, traditional Norwegian Christmas porridge, caroling and other holiday treats.